Project goal: Improving the carbon balance of water and wastewater utilities in Jordan, Mexico, Peru and Thailand through the introduction of greenhouse gas-reducing technologies. Project implementation: The project introduces greenhouse gas-reducing technologies to water and wastewater companies and thereby improves those companies' CO2 balance. It supports climate protection efforts in the water sector using a cross-sectoral approach, which addresses water, energy and food security in an integrated manner. Jordan is one of the driest countries on earth and the country uses more electricity for its water supply than anything else: 15 percent of its entire electricity consumption. In spite of that, many people only have running water one day a week and even then it doesn't always come. 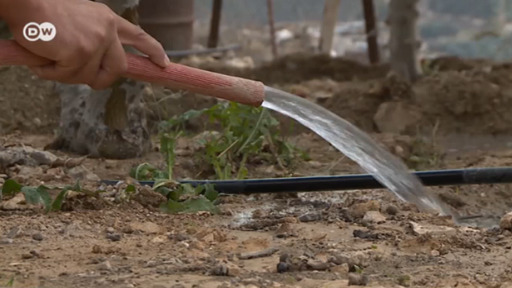 In the Madaba region, 800 meters above sea level, new, reliable energy-efficient pumps are now supposed to reduce power consumption and protect the climate. That's because electricity here usually comes from diesel generators and every kilowatt hour saved means less CO2 emissions. WaCCLiM: Why Climate Smart Utilities?